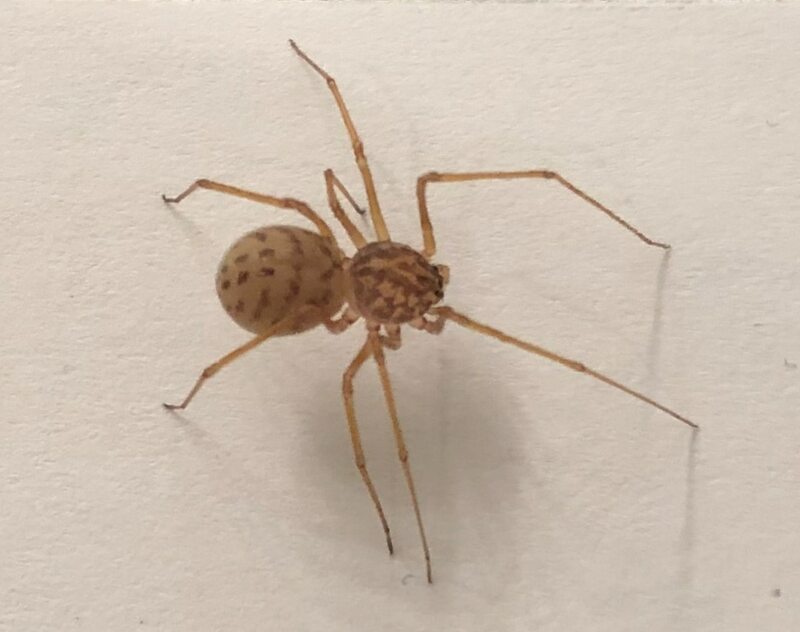 Found crawling around in the bathtub. With legs it was about the diameter of a nickel. Yes, Scytodes thoracica. spitting spider. Very harmless, had one lived in my Texas livingroom, good bug catchers, if you have recluse about, these will eat them. Cool spiders.